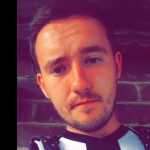 14 years on from the fabled ‘Class of 92’, Manchester United’s commitment to youth hasn&apos;t changed and the next generation of Old Trafford superstars are ready and willing to usher in a new era of success at England&apos;s most successful football club. The likes of Jesse Lingard and Cameron Borthwick-Jackson have both had breakthrough seasons in Manchester but the one prospect fans are clamouring to see the most is an attacker who worked his way to Carrington via Belgium and Brazil: Andreas Pereira. The 20-year-old has long been tipped as one to watch by those with one eye on Manchester and after picking up United&apos;s Reserve Player of the Year award for 2014/15, many see this as his time to make a name for himself on the biggest of stages. 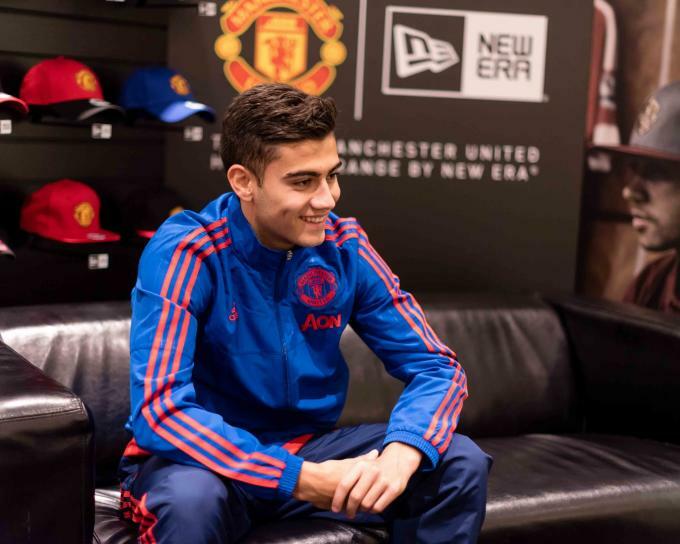 As Manchester United unveiled their new partnership with global headwear supremos New Era, the club&apos;s next Samba superstar talks to Complex about his breakthrough season at Old Trafford, the future of the Brazilian national team and who he least likes to team with on FIFA 16. You’re one of the brightest new talents at Manchester United – how does it feel to be hailed as Old Trafford’s next big thing? I’m very happy and it’s an honour for me to have people say and think that about me. Hopefully, I can just keep going and make everyone happy. For a young guy like you who’s into style, what’s it like to work with brands like New Era? Yeah, it’s very nice to be able to work with brands like this and see these hats. I’m very happy. What’s your style like when you’re away from the pitch? Just a chilled style, I like to have my tracksuits on and relax. Players spend a lot of time on the road, what do you like to do to keep entertained? I always take my music, my PlayStation, my laptop and my phone. I’m always busy listening to music or playing PlayStation, I’m never really quiet – I have to be moving. Yeah I play a lot of FIFA and NHL – I don’t want to just play football, I like to mix it up. Do you play FIFA with other guys in the dressing room? Yeah we play 2v2s, it’s always funny. I like to play with David De Gea, he’s a good player, but I don’t want to play with Luke Shaw…he’s the worst. And do you ever select yourself on FIFA? Always! I’m captain (laughs). I’m 66 but it will get better. I think my speed should be a bit faster and my skills should be higher. There’s a lot of young players at Manchester United making an impact: Jesse Lingard, Adnan Januzaj, yourself…what’s the bond like between you all? We’ve been through the academy and reserves together so we’ve known each other for a very long time and I think we have a special bond. We understand each other and we make jokes on the training bond, there’s definitely a special connection on the pitch, too. We’ve been through the academy and reserves together so we’ve known each other for a very long time and I think we have a special bond. What music pumps you up before a big game? I like to listen to Brazilian music, so carnival music. Do you ever get a chance to play that style of music to the rest of your team mates? No (laughs)! Ashley Young controls the stereo and I have to use my headphones. And what do you make of Ashley Young’s choices? Eh it’s okay but I don’t like the sound of house too much, you know? …so which place do you like to call home? Home? My home is here in Manchester now but my family home is in Brazil. With Belgium I feel like I have three homes. You’re part of the next generation of Brazil players – do you feel there’s enough talent coming through to make your national team special once again? Yeah, we have a lot of good players in the national team and if we can develop we’ll be brilliant. We have Rafinha and Lucas Silva who will be amazing, I can name 11 players who will be great. You scored your first goal for Manchester United this season, how was that moment for you? I was very happy, it was a relief. I’ve always dreamed about this moment and it happened, I’m living my dream. Hopefully I can score more goals like that. Have you got a personal target for the rest of the season? Yeah, I’d like to play some more games and try to do well for my team. I want to make the crowd, my team mates and my manager happy. 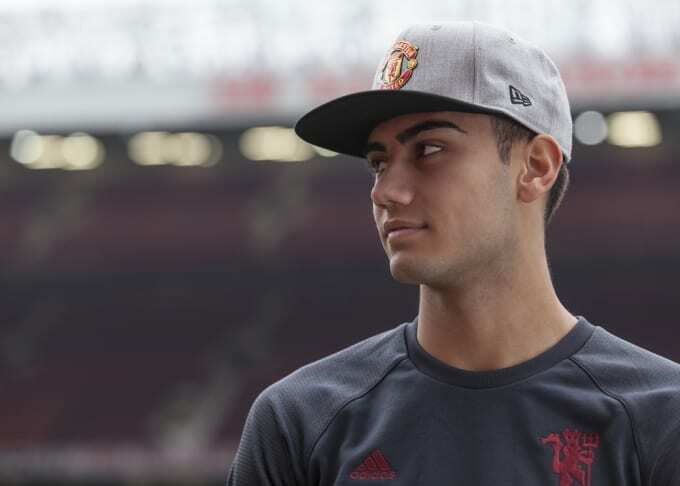 Andreas wears the New Era Manchester United headwear collection which is available now at www.neweracap.eu.